Throughout this process, the most difficult charge has been trying to make the “best decisions”. Is there a “best” decision as we do not know the complete effect of certain items until the students arrive in August? Hours of research and conversation twist and turn in my mind with the relieving thought of, “oh, you have a few weeks”. Well, those weeks have passed, and it is crunch time. The most challenging decision has been in regard to technology, especially the Lightraise SMART interactive projector and SMART or PROMETHEAN tables. 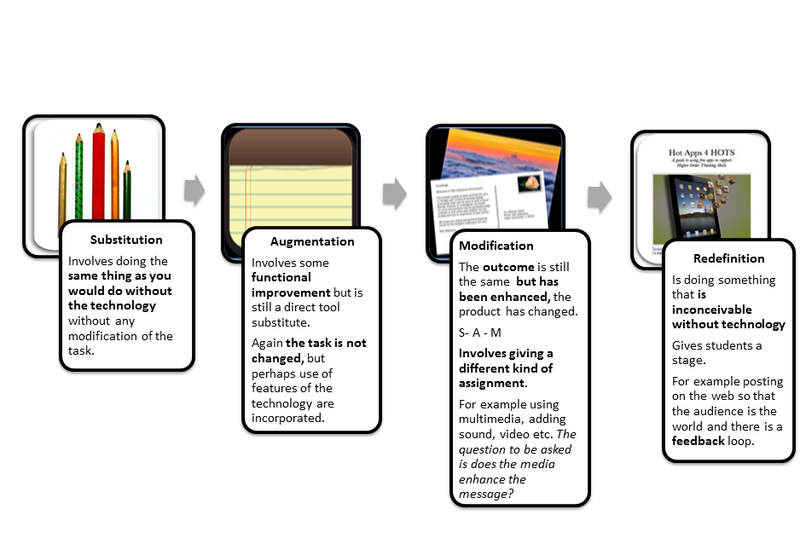 Trying to align with more of a Modification delivery (from SAMR, a technology model for learning), I am hoping that my decisions will facilitate higher level Blooms applications by my students. It is clear that an IPAD or the most expensive computer table can be a glorified worksheet instead of a conduit for authentic 21st Century learning. I am passionate about the fact that the paradigm shift is more withint the teacher than the materials that he/she uses.